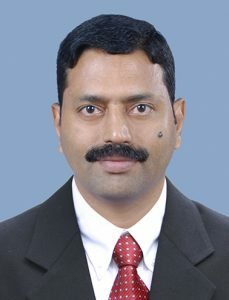 Mr.E.A Abdu, a Chartered Civil Engineer graduated from the University of Calicut. He is a Fellow of Indian Institute of Engineers. He spearheads the Engineering and Planning Department of Skyline Builders and is responsible for formulating project proposals, design and project execution. 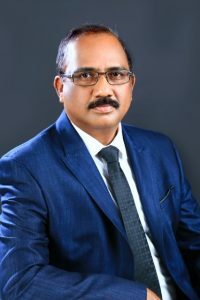 Having had over three decades of distinguished experience in India as well as abroad in managing and executing a wide range of construction of various projects, site administration and execution, general management, and strategic planning, he brings a practical hands-on approach to deliver results. He is a member of various professional institutions in India as well as abroad. He adds value to the company with his extensive experience in Project Management, Engineering and Construction Quality Management from major companies abroad. Furthermore, with his proven expertise in end-to-end project management, data analysis, budgeting tendering and contract administration makes an invaluable contribution to achieving the goals. 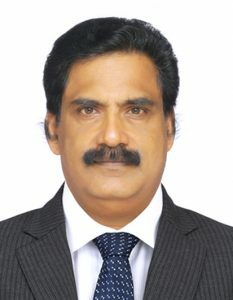 Mr. Thomas Mathew has over 28 years of experience in real estate development. He has in-depth understanding about the real estate sector of the country. He has been associated with Skyline Builders since its inception. He holds a Master Degree in Commerce from Mahatma Gandhi University. He is an expert at analyzing new trends in the real estate industry and arrives at accurate conclusions. He has been instrumental in identifying and acquiring prime lands for projects thereby creating land banks for the company. Mr. Mathew possesses strong negotiation and organizational skills. He utilises his vast experience in situations requiring crisis management. His dexterity at liasoning in the business and administrative domains is a major value addition to the company. He acts as the power of attorney of the company who represents the company in various governmental organizations. Mr. Jijo Alappat has over 26 years of experience in real estate development and construction with a special focus on finance and accounts. He also played a key role in the areas of company’s financial planning and budget management. Mr. Alappat spearheads the Finance Department of Skyline Builders and advocates benchmarks for evaluating the financial and operating performance. He has put forth long-term financial objectives, financial strategies, policies and programs of the company. His deftness in contract negotiations and decisions in product investment makes him a unique player in this field. He monitors the cash flow of the company and custodian of securities and other valuable documents He analyzes the monthly operating results against the budget and evaluates the financial performance of the company. He is also instrumental in implementing company’s new financial policies that effectively accomplish the company’s goals. His goal is to guide the company towards profitability and long-term success.